3M General Counsel Ivan Fong explains how the company’s vaunted commitment to innovation manifests itself in the legal department. CCBJ: The 3M Company has a long history of innovation across a range of products and technologies. How does that culture of innovation present itself in the law department? Ivan Fong: Every day, we ask ourselves, “How can we improve what we are doing?” We never want to be complacent or satisfied with the status quo. And it’s natural here for people to think not just about how to do things better, but differently. I encourage our legal department to always look for and take good ideas from all corners. For example, building on the company’s broader business transformation efforts, we are pursuing our own “legal transformation” initiative. As part of that, we have appointed a full-time, dedicated global process owner, or GPO, who reports directly to me. The company has GPOs for supply chain, finance, HR and other ­processes. These are people whose job is to look at how things are done and how they can be optimized in their area. In our case, our GPO is a senior lawyer who works with a small team of process specialists to analyze how legal services are delivered, and then works with our legal teams to identify opportunities where our work can be done faster, better and cheaper. For example, is there work that can be standardized and thus done at a ­lower cost by those who specialize in that work? We now have over 20 legal ­professionals who do everything from non­disclosure and sourcing agreements to ­patent docketing and marketing and other copy review. They are focused on optimizing those processes, allowing our other professionals to spend more time on strategic work and working with clients. We started our Global Legal Service Center in India about seven years ago and have seen about $7 million in savings. It’s been a big success, and we’re going to continue to grow that process. We also take innovative approaches to doing pro bono legal work. We do the work that our community needs – child welfare cases, wills for seniors and veterans, and so on. I enjoy working on criminal expungement cases, which are very rewarding. You help somebody get a criminal conviction expunged, and you enable them to get a job, get a driver’s license, get housing. But we don’t restrict the type of pro bono work people do: We’ve represented death-row inmates, we help low-income inventors obtain patent protection for their inventions, we work on animal welfare issues and we have a Lean Six Sigma coach working with the Minnesota Supreme Court to create efficiencies in the legal aid system. We’re also carving out new ground in international pro bono. Although there is a strong and rich tradition of U.S. lawyers doing pro bono legal work, for many of our international colleagues, it’s a newer concept. We’ve done immigration and refugee cases, and we’ve had partnerships with nonprofits in China and other places to advise them on the work they’re doing. I’ve been very gratified by the law department’s response in the pro bono area. We’ve increased our pro bono hours from fewer than 1,000 in 2012 to more than 2,500 hours in 2016. And the number of volunteers has tripled during that time. ​At the same time, we’ve been innovative in our relationships with our outside counsel. Like many companies, we’ve gone through a convergence process, which led to the creation of our preferred counsel network. The substantial majority of the work that we send to outside counsel now goes to about 40 firms. We refresh that list every three years so no one gets complacent. With these firms, we have insisted on custom fee agreements, and indeed, now over two-thirds of our outside counsel spend is non-hourly based. We’ve found that that’s a good way not only to save, but to promote consistency and predictability in our spend, as well. We are also focused on both succession planning and diversity and inclusion at these firms. Every year, we have a two-way business review, or feedback session, with each of our preferred counsel. Using a template, we evaluate the firms and ask them to evaluate us, looking for feedback about how we can better work together. Initially, we found that firms can be a little hesitant. The key is being genuine in saying, “We want to improve. We know that no one is perfect. And let us know if there is something that we are doing that is causing you pain in terms of being less efficient.” If there’s a problem, we’d rather know about it and be able to do something about it. I have sat in on these business reviews, and the paper report is usually just the beginning of a broader conversation. So it’s an opportunity to pause once a year for frank discussion in the spirit of continuous improvement. It’s been a very helpful addition to our process. You mentioned a focus on diversity in your preferred counsel network. Can you elaborate on that, and on the importance of diversity for the department and for innovation? Our CEO has made diversity and inclusion a priority for 3M. It starts with the belief that diversity and inclusion is all about innovation and competitive advantage. Having people with diverse backgrounds and perspectives promotes creativity and different ways of looking at problems and coming up with solutions. The company sees a strong business case for diversity and inclusion. So, for us in the legal department, diversity and inclusion are a natural extension of what the company is doing more broadly. We have a very active diversity and inclusion committee, led by one of my direct reports. We measure how far along we are in our diversity journey. We sponsor outside speakers, training and other activities that stimulate conversation and dialogue. With our preferred counsel network, we insist on evaluating their diversity data as part of the firm-selection process. The firms in our network have met a threshold not only in their commitment to diversity and inclusion, but also in demonstrated results. Last year, we hosted a first-ever Successor Summit. We had previously asked each of our preferred firms to identify two potential successors to the relationship partner. We then assessed the diversity of that group of relationship partners and their successors. At the Successor Summit, we brought the successors together to introduce them more deeply to 3M, and with the help of Caren Ulrich Stacy of Diversity Lab, we conducted an “agile sprint.” It’s a compressed version of a “hackathon,” where we divide the attendees into smaller groups, mix inside and outside counsel together, and give them a problem to solve. This is a process we borrowed from the software-development space, and it has been very successful. It gives us an opportunity to reach into that next layer of the law firm’s leadership. And when the relationship partner retires or moves on, the next person in line is somebody who not only knows us well, but who also happens to bring diversity to our outside counsel talent pool. Have innovations in the legal department been applied to support business units such as R&D, sales and procurement? Yes. One example is a patent-to-product tool that we created. It enables us to use data to drive decision making about which patents are more productive or more valuable, helping the business decide what areas to pursue. We have combined the use of this tool with a focus on in-house preparation and prosecution of patent applications, including the formation of a five-person group in Japan dedicated to such patenting activities. These initiatives have improved the quality and reduced the costs of our patent function and have been very helpful to the R&D organization, of course, but also to the broader business, as well. Another example is that the preferred counsel network has become a model for other areas of the company that work with outside partners. Our CEO has highlighted this as something that other functions and businesses that rely on multiple suppliers or vendors should look at, and we work with them to apply some of the same principles for reducing spend and improving the quality of the service they receive. Earlier, I mentioned the legal pro bono work we do. That has inspired the development of a new program in our community affairs organization called 3M Impact, which brings teams of employees together to work with nonprofits or NGOs in the U.S. and other countries to help solve important social or environmental issues. So this idea of actually doing work to benefit the community is something that has inspired not just giving money but also providing expertise, talent and commitment in the form of our people. It’s been a great program – especially for our newer employees – because being part of a company that will send you to a far-off place for two weeks to work on a project that will make the world a better place says a lot about the kind of company we are and the values we embody. Currently, we are implementing a new, company-wide contract lifecycle management project. It’s far too early to claim victory, but I’m optimistic that it will streamline the way we work with our clients in terms of tracking, retrieving and updating contracts, and having them readily available and managed from creation through sunset. 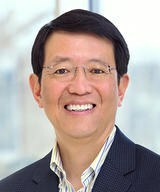 Ivan Fong is Senior Vice President, Legal Affairs and General Counsel of 3M. His responsibilities include the company’s compliance and government affairs teams. Prior to joining 3M, Ivan served as general counsel of the U.S. Department of Homeland Security. He also served as chair of the Association of Corporate Counsel. Currently, Ivan is a member of the council of the American Law Institute and serves on the boards of Equal Justice Works and Minnesota Public Radio. I often say that what 3M’s legal department brings to the table is our experience, expertise and judgment – and that comes in the form of our people. So we have taken innovative approaches to developing our professionals. For example, every new legal professional in his or her first year takes a one-week course we call New Lawyer Academy. This helps ensure that they are exposed to all the terrific resources that we have within the legal department and the company. Especially for our international colleagues, coming to our St. Paul headquarters offices is a meaningful recruiting and retention experience. Later on, members of our legal department can take advantage of 3M’s many outstanding leadership development programs. We also have an advanced business course for lawyers. This is a way to help make sure that our mid-level lawyers have some intermediate finance and accounting knowledge, which is the language of business. In this course, we also teach them about risk tolerance and solution orientation, and how to partner with and be a trusted counselor to the business. We provide training on public speaking, because in any large organization, the ability to speak and make a good presentation is critical. And we give people an opportunity to network with senior executives and others in our legal department. Recently, we’ve started a pilot executive coaching program for our next generation of legal leaders. We’re still evaluating the results from our pilot group, but we see a good deal of potential in this investment in intensive, one-on-one leadership coaching. We’re also very intentional about giving people different work opportunities. If someone works in Europe or Asia, for example, we might bring them to the U.S. for six months to a year, or sometimes even longer. Over the past five years, more than 30 people in our legal department have had this type of assignment. We have found that this can enrich both the lawyer in question and the business. When a U.S. lawyer spends time in a subsidiary in another country, he or she develops a broader perspective, while the subsidiary gains from having somebody who knows how our headquarters operations work. Strengthening our networks promotes effective collaboration, which in turn ensures we continue to be one legal team working globally to partner with our clients and safeguard the company and its reputation. Overall, we try to keep our legal team learning, always doing something new and never feeling stale about what they’re doing.